With English teachers coming and going on a yearly basis, the number of volunteers at each orphanage wasn’t consistent for more than about a year. 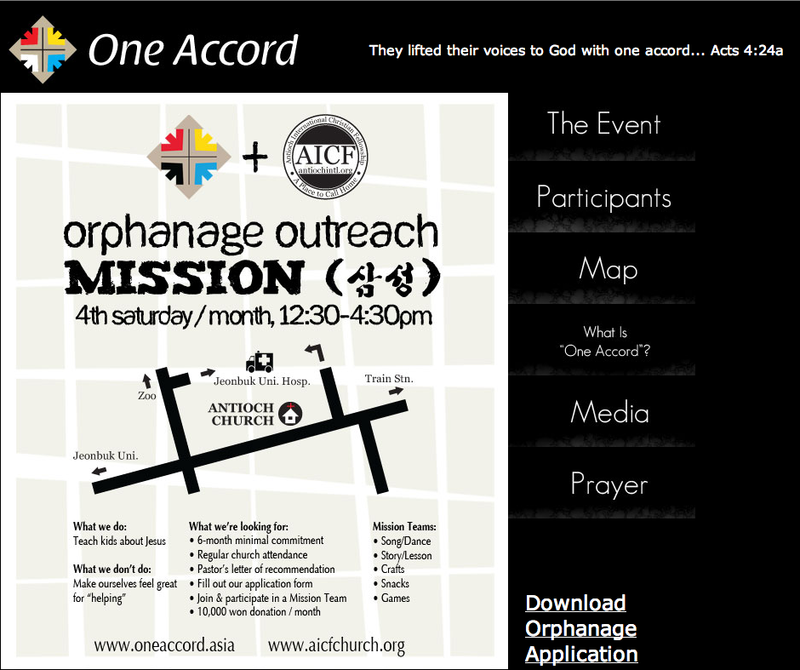 In 2012, with low numbers, we sought new volunteers from other One Accord churches. These designs were to bring people to an informational meeting about joining the orphanage team. 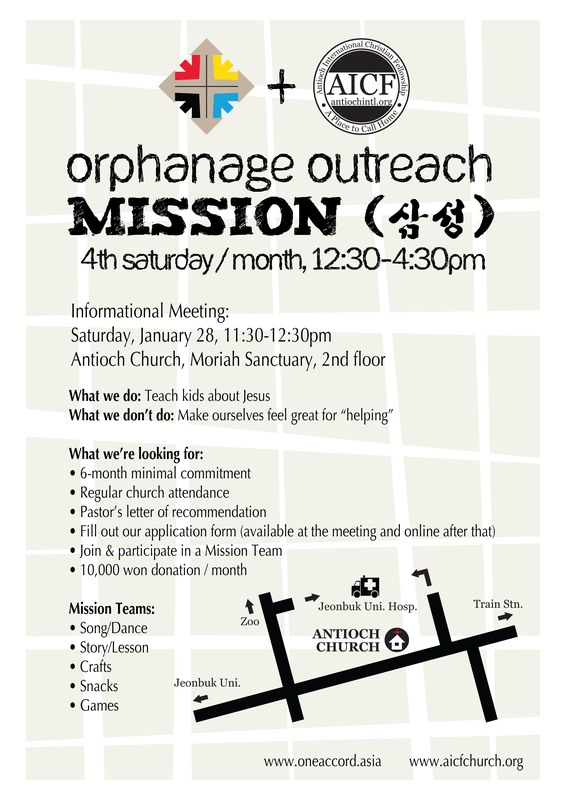 In Jeonju, there are other orphanage volunteering opportunities, and Antioch church wanted to make clear what the requirements and expectations were for anyone who wanted to join orphanage with them. The designs: I wanted to create some designs that had a bit of roughness to them in order to emphasize the difficulties children have being raised in orphanages. I decided that visuals or photos of orphans would be too much, so went instead with a messy grid design in the background and a rough, sketched font. I wanted to keep the design relatively clean, so I chose a light gold color for the grid. 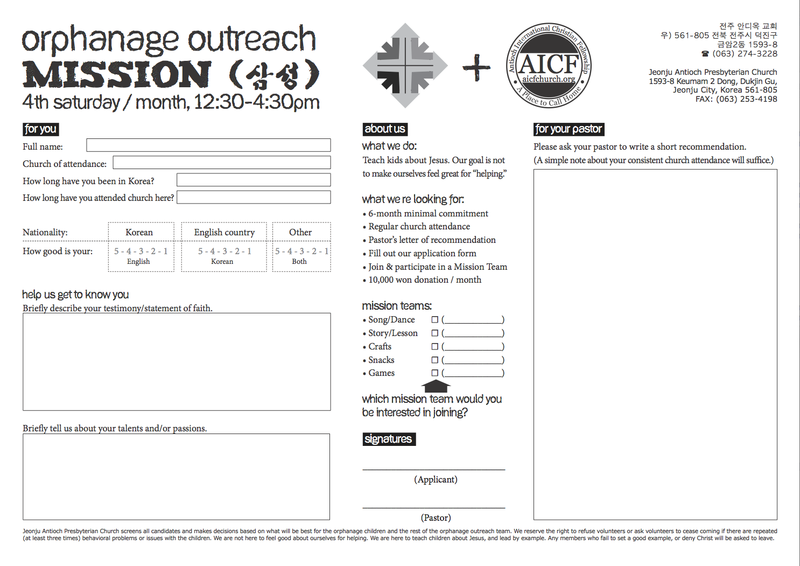 I updated the cover image on the website for this as well and included a link to the “Orphanage Application” form (redesigned) that was developed by the first main pastor at Antioch’s International Christian Fellowship. 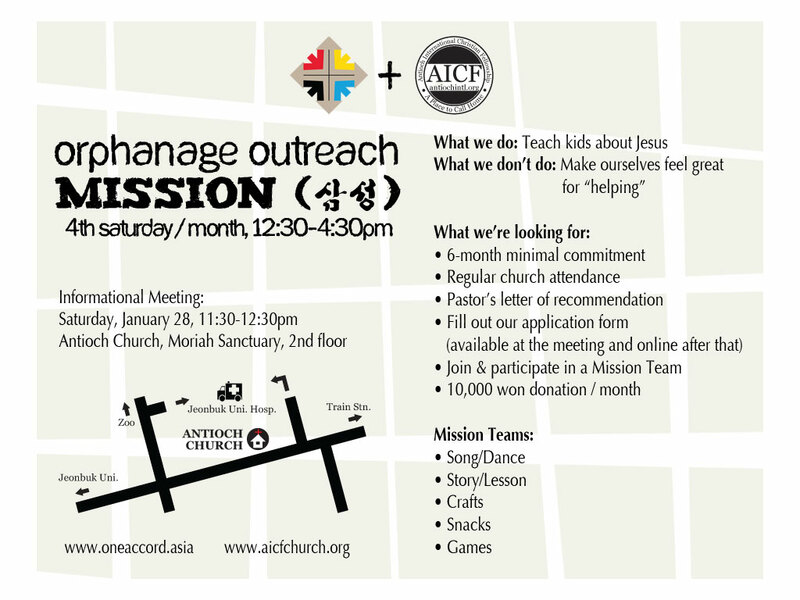 Click here to download the PDF of the Orphanage application.